Your surgeon will make an incision along your big toe and open the joint capsule to expose the bump. The bump on your big toe is then removed using a bone saw. Your first metatarsal bone is then cut in a Z shape and realigned to correct the deformity. Your surgeon will fix the cut bone with pins or screws. The joint capsule and surgical wounds are then re-approximated using dissolvable sutures keeping your toe in a straight position. This is a very powerful corrective procedure with excellent long term results. The foot is formed by several bones, ligaments, joints and muscles, which function collectively to control the various movements like walking and running. This complicated structure of the foot permits them to resist heavy forces every day. As the feet are a common area for wounds and injuries, they are susceptible to various mistreatments in the form of ill-fitting shoes, sports injuries, work-related trauma, or the strain of walking. Various outside forces tend to harm the feet and cause pain and discomfort. The primary objectives of foot reconstruction are reduction of pain and restoration of function and appearance. The surgery to be performed depends on several factors such as the age of the individual, type of foot disorder, and severity and duration of the symptoms. Reconstructive foot surgery facilitates to correct birth defects, diseases and other foot ailments that can greatly benefit patients’ medical and aesthetic needs. It is often recommended when conservative treatments fail to resolve the symptoms. It is a good choice in permanently treating various foot disorders. 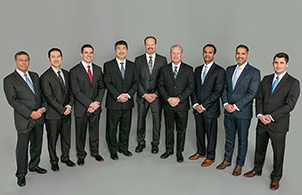 With the new advancements in surgical technology, the traditional method of treating foot disorders is replaced by a minimally invasive technique (arthroscopy) which can be performed on an outpatient basis. Start rehabilitation (physiotherapy) as recommended by your surgeon to improve range of motion. Subtalar arthrodesis is the surgical fusion of bones that form the subtalar joint. The subtalar joint is a complex joint located below the ankle joint and is formed by the union of the heel (calcaneus) and the talus (ankle) bone. The subtalar joint allows side-side movement of the foot. The goal of subtalar arthrodesis is to relieve pain in the affected joint. This is achieved by surgically eliminating the joint. Subtalar arthrodesis is recommended for the treatment of severe end stage arthritis that has not responded to conservative treatment measures such as medications, injections, and bracing. The other indications include fracture, flatfoot deformity, and other degenerative bone diseases. A complete medical history, including a history of any previous ankle injuries, and a physical examination is essential for an accurate diagnosis of the condition. Imaging tests such as X-rays, 99Tc bone scan, or MRI may be ordered. Subtalar arthrodesis can be performed as an arthroscopic or open traditional surgery. The approach for an open technique is from anterior (front) aspect of the ankle. 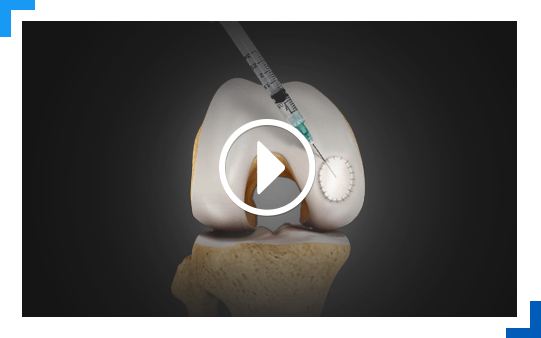 The access is gained to the joint surface and is followed by removal of the degenerated cartilage tissue. The joints are then fused together with the help of screws, wires, plates, or rods. Bone grafting is recommended in cases of substantial bone loss. This is done using a graft taken from the patient (autograft) or donor tissue (allograft). The recovery time following fusion will depend on the technique employed and the health status of the individual patient. Subtalar arthrodesis is usually a safe procedure and complications are uncommon. However, apart from general complications related to any surgery, complications after subtalar arthrodesis can include infection, nerve damage, unresolved pain, non-union and malunion of bones, and irritation from foreign material such as pins or screws. Ankle ligament reconstruction may be performed arthroscopically under general anesthesia. Your surgeon will make small incisions in your ankle. A tiny camera and a few special instruments are inserted through the incisions to repair and strengthen the ligaments. Stretched or torn ligaments will be shortened and stitched as needed. Sometimes, a weakened ligament is reconstructed with a section of tendon derived from the foot and around the ankle. Contractures: Muscles become stiff after a period of immobilization. Tenex FAST procedure is a minimally invasive method to identify and remove pain generating scar tissue from tendons in the elbow, knee, ankle, foot and shoulder which can occur due to various musculoskeletal conditions such as tennis elbow, golfer’s elbow, jumper’s knee, plantar fasciitis, swimmer’s shoulder and Achilles tendonitis. The procedure is performed under local anesthesia to numb the affected area. The micro tip of the TX1 tissue removal system, the size of a tooth pick, is inserted into the affected area under ultrasound guidance. The tip releases ultrasonic energy which breaks and emulsifies the scar tissue which is then aspirated. It takes about 15 minutes and the tiny opening is covered with an adhesive bandage with no sutures required. You will be able to return to normal activities in approximately a month after the procedure. Tenex FAST procedure is the treatment of choice for tendon pain when compared to conventional treatment which involves rest, medication, and physical therapy. Recovery from conventional treatment can take a few years and restrict your activities during this time. Tenex FAST is also safer when compared to open surgery through an incision.